So, we’ve been been on our feet quite a lot as part of my husband’s walking project. We thought we would stay local last weekend, and as we’d been talking about the poet Edward Fitzgerald recently, we thought we’d explore some of the places where he lived and worked and saw his friends. My husband has just finished reading a book he gave me some time ago, The Artist’s daughter written by the late Sally Kibble. It’s a lovely book, a fictionalised memoir of Ellen Churchyard, daughter of Thomas. It shows the group of friends, The Woodbridge Wits, who took great pleasure in, and inspiration from, each other’s company and cast of mind. EFG was part of this group. There are accounts of their meals and walks and conversations. The book is full of the lovely soft pictures of Churchyard, and some of these were of locations that you can still trace, and recognise, today. Personally, I would have liked a bit more of the poetry of EFG and Bernard Barton, but I’m trying to fill those gaps with my own reading. View of the River Deben, Thomas Churchyard. Painted near the railway bridge – you can see the steam train bending away towards the station. We planned a walk which was just shy of ten miles in the end, quite ambitious for me, but it took in many of the places where EFG lived in and around Woodbridge, Suffolk. The first place on the itinerary is also, probably, my favourite. The Quaker poet Bernard Barton’s tiny crooked cottage was the place where they often met – these Woodbridge Wits – to eat cheese on toast. For that was all they could cook over the fire, the only means of cooking. It seems to have been one of their favourite places, too. Bernard and his daughter Lucy were clearly good company and warm hearted hosts. Their simplicity and equality of life appealed to EFG. The artist and lawyer Thomas Churchyard lived up the road, and it’s lovely to think of them together, talking in the firelight with the smell of toasted cheese. These two poets were also friends with other writers – Tennyson, Charles Lamb, Robert Southey and Anne Knight among them. 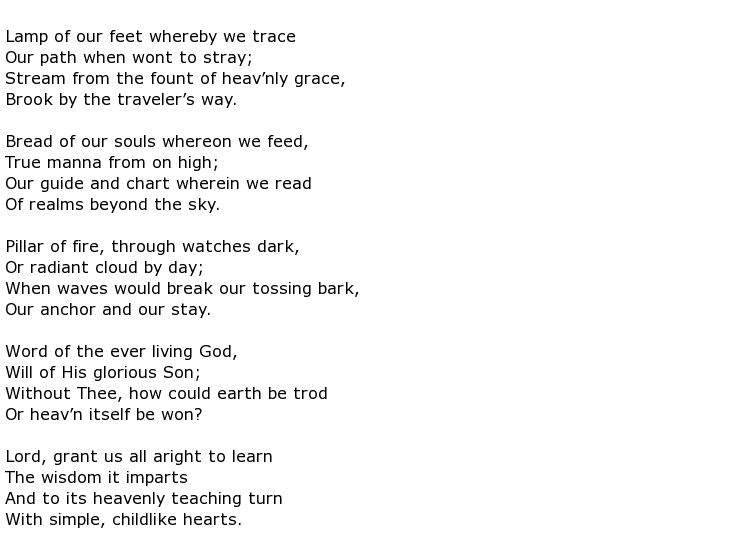 I am trying to track down some more of Barton’s poems, and you do occasionally find his lyrics in an old hymn book, such as these, which seems apporpriate for a walk. Despite Edward Fitzgerald’s privileged background – his family lived nearby in Boulge Hall – he preferred simpler settings. He had rooms above a shop on the Market Hill, and you can see a stone plaque marking the spot – very like the one on his rooms in King’s Parade, Cambridge – just up the hill from Barton’s cottage, and even nearer the Bull Inn where Tennyson stayed when visiting him. From here, after buying eccles cakes from The Cake Shop to sustain us, we meandered around past other places where he had associations, on the way to Boulge Hall, with the church next to it. Boulge Church, the main focus of our walk, has been snagging at my mind. It is where he is buried. I had been before, on another walk, with a friend, but my husband had not. I remembered it was hard to find, that there was no lane to it, and that the paths did not seem to follow the OS map – not even when we used the one on the phone rather than our battered paper one that was giving way on the creases. And so it proved to be this time. We saw one sign from the road – at the site of the lodge cottage where EFG had lived in preference to the Hall – which said “No access to church” but there was no sign telling us which way to go. After much meandering, a walk along what looked like a long-gone drive between trees, and a short dash along the private-no-right-of-way lane, we found the church. Perhaps it had been the private church of the estate at some point, it didn’t feel like a public space. But it was open, and clearly used, with hymn books and information and welcome. The congregation must be adventurous, and dedicated. There were instructions as to how to turn on the lights – it was an old church with small windows,very dark despite the sunshine. So we turned the lights on, and sat and rested in the peace. Sitting there, I saw in a side chapel some plaques up with the Fitzgerald name on them, but they were not for Edward. There wasn’t any of his poetry about. I was wondering if there might be some kind of memorial, or stone with verse, or a card, but I couldn’t see one. It was almost as if the long-ago family tension was still exerting an influence. Outside, in the graveyard, is an elaborate family vault, with a simple granite slab next door for Edward. There is a rose planted at the head. The rose is a descendant of that on the tomb of Omar Khayyam, whose great poem EFG translated. There is another rose at the foot. It seems that it was his request not to be buried in the family tomb. As he had lived at the gatehouse on the edge of the grounds of the hall, reading and writing and having his friends for simple meals, so he was buried outside the vault. He loved simplicity, friendship of the mind, and left behind an astonishing piece of work, in his translation of the Rubaiyat of Omar Khayyam. Maybe some in the family disapproved of this work, from a Persian mathematician and astronomer. It only came to be generally respected after his death. As we sat on the bench in the churchyard, eating our snack, I wished I had brought the book with me. My copy is hardbacked, and quite heavy, but a quick look on my phone brought up the following lines. They seemed appropriate for reading under the tree where we were. They celebrated something very profound, a kind of communion. A simple meal of bread and wine, and companionship, these are riches indeed. I thought these words were in keeping with the spot. We carried on walking, taking in some more places where EFG had lived. The pattern of roads and lanes and paths has been the same for so many generations. So many other people, remarkable in their way and in their time, have walked here. It felt good to remember and honour them, the ones who thought of themselves as ordinary, the ones who have been forgotten, and know that our steps succeed theirs, and in turn will be succeeded by those who come after us.